Participating students, known as “Disney Dreamers,” embark on a journey that takes them throughout the Disney theme parks and behind the scenes of this 40-square-mile vacation destination. 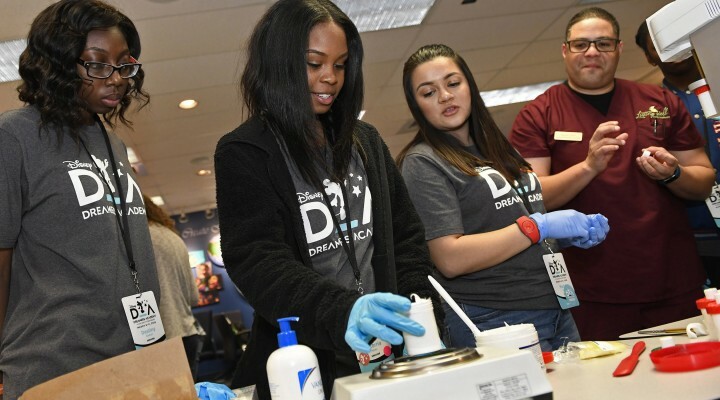 Walt Disney World becomes a vibrant classroom where students discover new career opportunities, pursue their dreams and interact with Harvey and other celebrities and motivational speakers. Celebrities who have participated in the past include singers Patti LaBelle and Ne-Yo, NBA legend and business mogul Magic Johnson, gospel music star Yolanda Adams, actor Jussie Smollett, plus TV personalities such as celebrity chef Carla Hall and “Good Morning America” co-anchor Michael Strahan. This entry was posted in College Prep, Parenting Teens, Videos and tagged Disney, dreamers, essence magazine, steve harvey. Bookmark the permalink.